The prestigious car brand will continue to sponsor the best padel in the world for the next two years. The agreement between Volvo and World Padel Tour was signed today in Madrid between the CEO of the World Padel Tour, José Luis Serrano and the CEO of Volvo, José María Galofré. The Scandinavian car brand is at the vanguard of design and technology and internationally renowned for its safety and reliability. Volvo's new models will accompany the tour on every stop of the season. 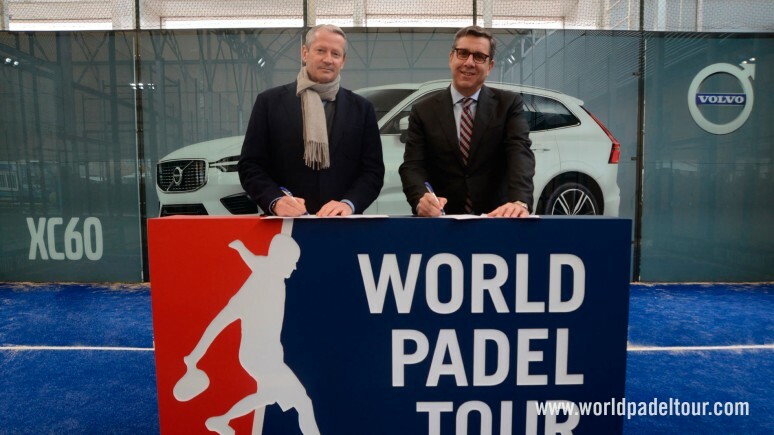 The World Padel Tour thereby extends its deal with Volvo, an agreement that has now existed for over 6 years and hails back to the early days of the tour. A safe transit in one of the world's top quality car brands.